Questions? Please view our ticket information, venue and FAQ pages! Questions? Please view our FAQ pages! Care for a little cool jazz with that hot tamale? Or how about a little hot jazz with that shaved ice? Maybe you’d prefer some spicy percussion to go with that succulent Palisade peach? Whatever catches your fancy at Vail’s famous Sunday Farmers’ Market, you’ll find the perfect complement at Vail Jazz @ The Market.  A long-standing summer tradition, Vail Jazz @ The Market brings sounds from all over the world to the heart of Vail Village in the Jazz Tent on the Solaris Terrace — Brazilian, swing, blues, Latin, the American Songbook, and straight-ahead jazz. Whether you’re a serious listener, or a casual stroller seeking some shade in our open-air tent, you’ll love the musical treats. Dessert? Just stay for the second and third set! Free and luscious. THE 2018 VAIL JAZZ FESTIVAL HAS ENDED! Stay tuned for the Vail Jazz Winter Series lineup announcement, coming soon. This Denver-based band is guaranteed to get you up on your feet for some Música Cubano. Los Chicos Malos are Victor Mestas (keyboard and vocals), José Alberto Cabrera (vocals, guiro and maracas), Leo Munoz-Corona (congas), Howard Hernández (timbales) and Zak Kopeikin (bass). 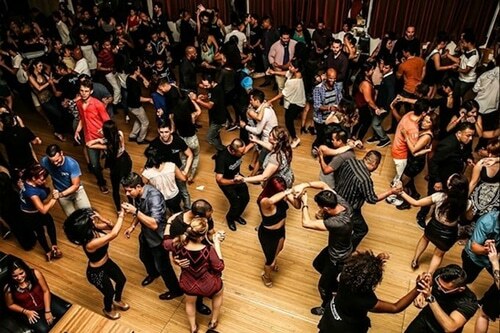 These bad boys deliver a fun-filled afternoon of Cuban jazz, salsa, cha-cha and everything in between. Averaging 250 performances a year, the Delta Sonics have won Westword’s “Best Blues Band” designation six years in a row. Together for 26 years, they have won a wide following for their solid musicianship and exciting live performances which include musical stylings incorporating Chicago blues, West Coast swing, New Orleans, R&B and even some early Rock ‘n’ Roll. The Delta Sonics are Al Chesis (harmonica/vocals), Bob Pelligrino (guitar/vocals), John Butler (bass/vocals) and Willie Panker (drums). 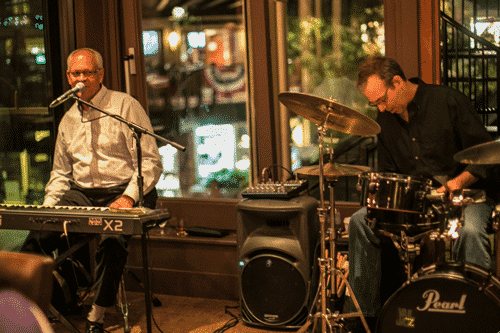 BLT has been feeding music-hungry jazzers for years, serving up tasty tidbits of trad jazz thanks to the cookin’ of Brian Loftus (drums) and Tony Gulizia (keyboards and vocals). Joining this popular Vail duo is Bob Rebholz, one of the Denver area’s most popular saxmen. Together with vocalist Liliane Murdoch they’ll be dishing out musical fare fit for jazz royalty. Wildly popular in the ‘30s and ‘40s, tap dancing became intertwined with jazz thanks to the Hollywood musicals of that era and the Count Basie and Duke Ellington bands who always toured with tap dancers. In this collaborative program, hot young tapper Dario Natarelli and MacArthur Genius Grant-winning dancer/choreographer Michelle Dorrance will pick up the jazz beat and carry it to entirely new places. Keyboard whiz Chuck Lamb will be joined by Kate Davis (bass and vocals), Savannah Harris (percussion) and others. A member of Stevie Wonder’s band for five years, Robert Johnson is a veteran vocalist. All sorts of exotic flavors and musical seasonings are evoked when Robert’s voice soars, croons, scats and dares you to get up and dance. With Scott Martin on piano, Dru Heller on drums and Mark Diamond on bass, these guys assemble a menu of wonderfully arranged jazz standards as well as a variety of music from Brazilian Bossa Novas to some down-home Blues. A longtime Vail Jazz favorite, Kathy has performed widely in Europe, Asia and the Middle East. Her energy, vocal range and musical sense are beautifully applied to the standard jazz repertoire and Great American Songbook. A natural entertainer, Kathy is also well known as part of the popular vocal trio The Fabulous Femmes. Joining Kathy on keyboard is Brent Gordon (alto and tenor sax, vocals), Ron Bland (bass) and Larry Dutmer (drums). DZ stands for Designated Zest—a perfect complement to the Farmers’ Market setting. 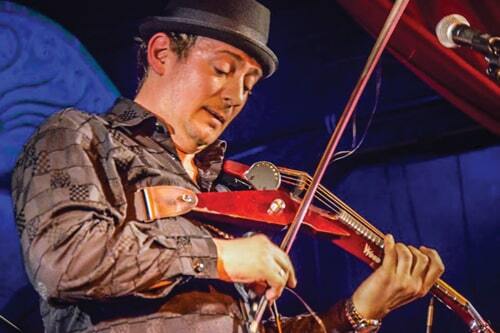 Jazz violinist Anthony Salvo presents his new group, Fortunato, a virtuosic ensemble bringing the best of Gypsy, Klezmer, Indian, Latin and African traditions into a jazz setting. 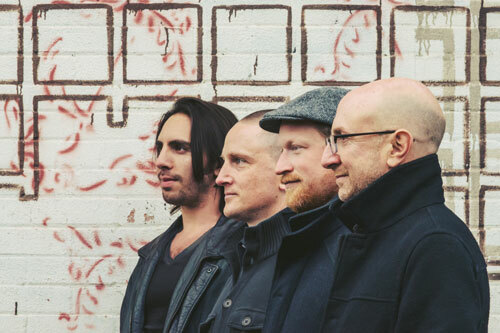 Embodying a variety of the world’s musical cultures, Fortunato draws on both classical and jazz idioms, bringing a new, exciting energy to jazz improvisation and crossover fusion. The music is upbeat, invigorating and sometimes transcendent. Their current repertoire includes Pat Metheny, Chick Corea, Shakti, as well as Anthony’s original compositions. Joining Anthony will be Charles Parker Mertins (bass), Alexios Anest (guitar) and Andy Skellenger (tabla and percussion). Wayne Wilkinson is a headliner guitarist who performs and tours across the country and internationally. Throughout his four decade career, Wayne has shared the stage with many iconic jazz musicians including the Brecker brothers, Henry Mancini, Bob Hope, The Four Freshmen and even President Clinton. 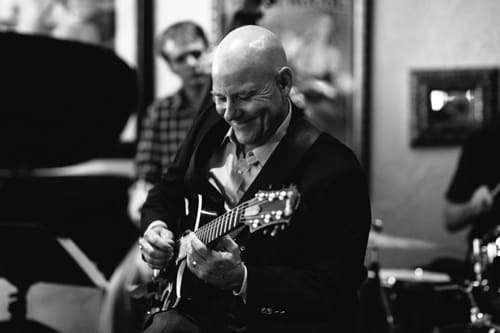 Wayne is known for playing high-octane straight ahead jazz, innovative bebop jazz and original compositions. His trio, with Andy Burtschi on bass and Todd Williams on drums, features progressive blues and jazz and fresh new material that sets the stage for joyful musical expression.